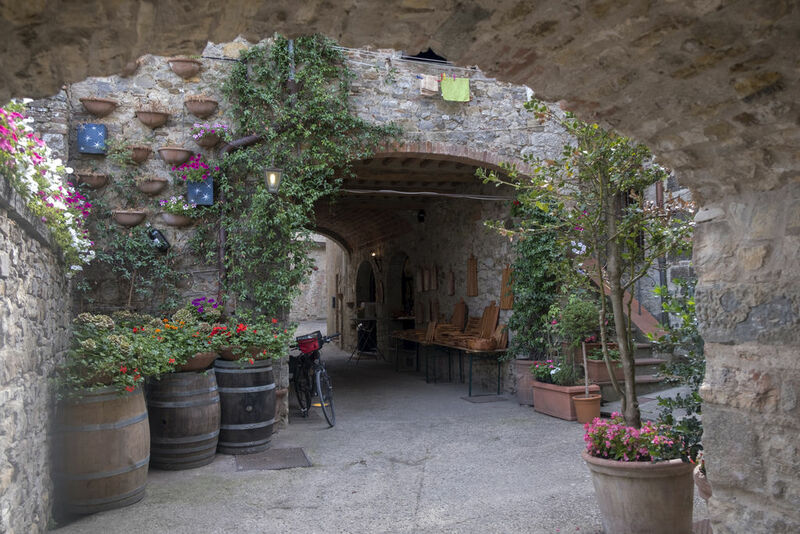 On the outskirts of the village, opposite the church, San Salvatore, the unusual Via delle Volte begins its course. A former rampart walk, over time the houses abutting the ramparts have come to straddle and cover the ramparts. 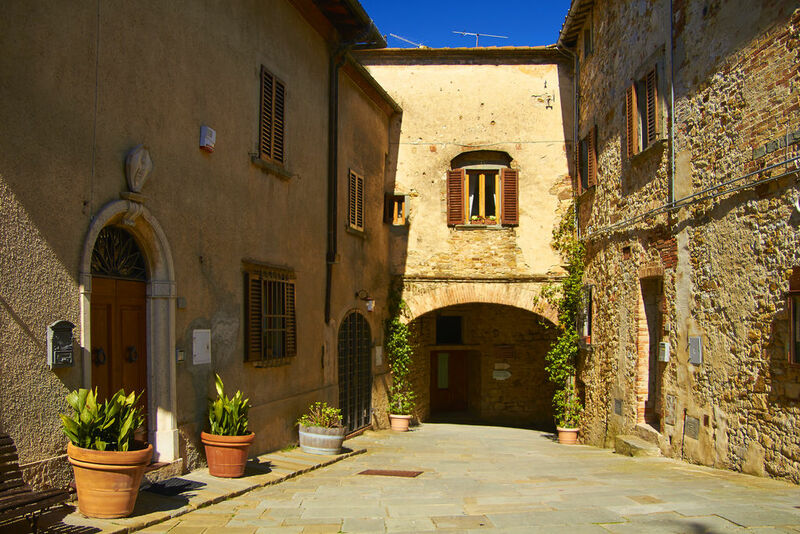 But the village is grouped around the parallel street, Via Ferruccio, lined with cafés, shops, restaurants - and enoteche, where you will get to taste the region's best wines.